Whether you are looking for a cheap last minute holiday, an all inclusive family hotel or a luxury 4 star deal, the Costa Brava has a wide variety of holiday accommodation to suit everyone. 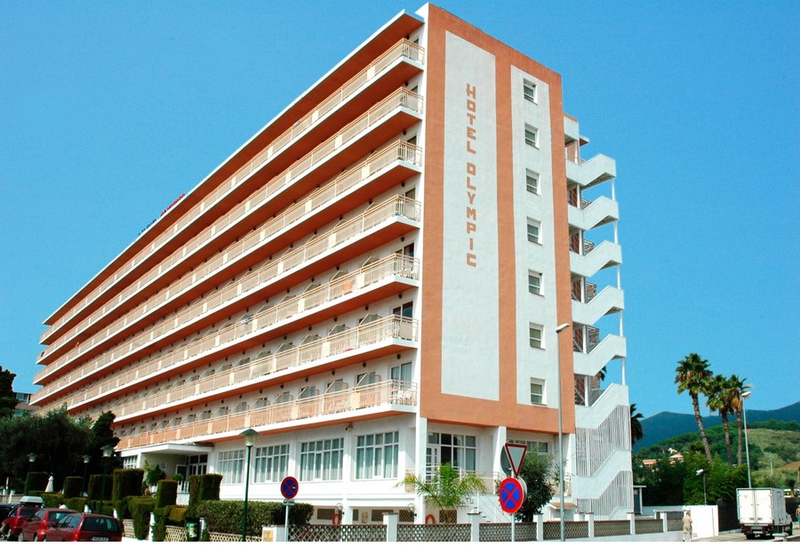 Our most popular hotel in Callella is the H.Top Olympic To find more Calella hotels and accommodation and availability please utilise our 'search for holidays' or accommodation in the right hand column above. Back to the top of this page. Although Calella is located on the little known Costa Maresme it is generally accepted as part of the much larger Costa Brava. Holidays to Calella are a good choice for couples and families with young children, the resort is well established with a wide range of accommodation from cheap apartments and studios to all inclusive hotels. The resort runs parallel to the beach and is separated from the beach by a railway embankment. Convenient for both Gerona and Barcelona airports Calella continues to be a popular holiday choice for visitors from the UK. The beaches are made of coarse sand and are very well maintained. There are plenty of water sports including two rafts with water slides anchored offshore plus other facilities on the main beach (Platja Gran Calella). Beach-life here is very good with plenty of sunbeds and sunshades to hire. If you fancy a refreshment you don't have to leave the beach as during the summer there are seven 'chiringitos' or beach bars set up; all with toilets and showers. In summer this lively resort comes alive at night with a range of music bars, pubs with sky sports, restaurants and eateries of all kinds as well as late night clubs and discos. Calella has plenty of shops with approximately 800 outlets offering friendly service, good quality and prices to suit all budgets but if you need more the resort is conveniently close to Barcelona, at just a 40 minute journey by car and 60 minutes by train. Train travel couldn't be more convenient with trains leaving for Barcelona centre every 30 minutes. Alternatively it is only 50 km from the city of Gerona, making it an ideal destination for a short excursion to shop or simply have a stroll around.